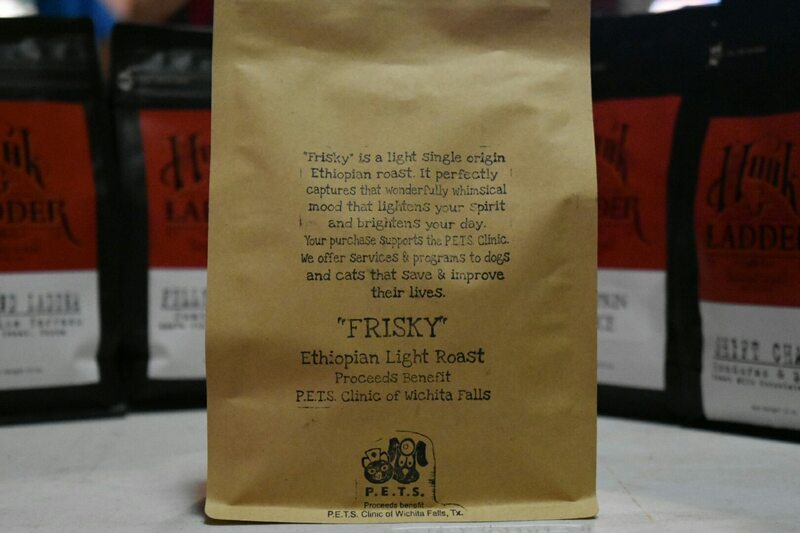 Frisky | Single Origin Light Roast | From H&L Coffee Co.
Say “meow” to our single origin Ethiopian light roast coffee beans. All sales of Frisky benefit animal welfare by giving proceeds to the P.E.T.S. Clinic. The P.E.T.S. Clinic is a nonprofit organization in North Texas that provides low-cost services and a full range of community-focused programs, all with the goal of lowering rates of euthanasia by making sure pets have forever homes. 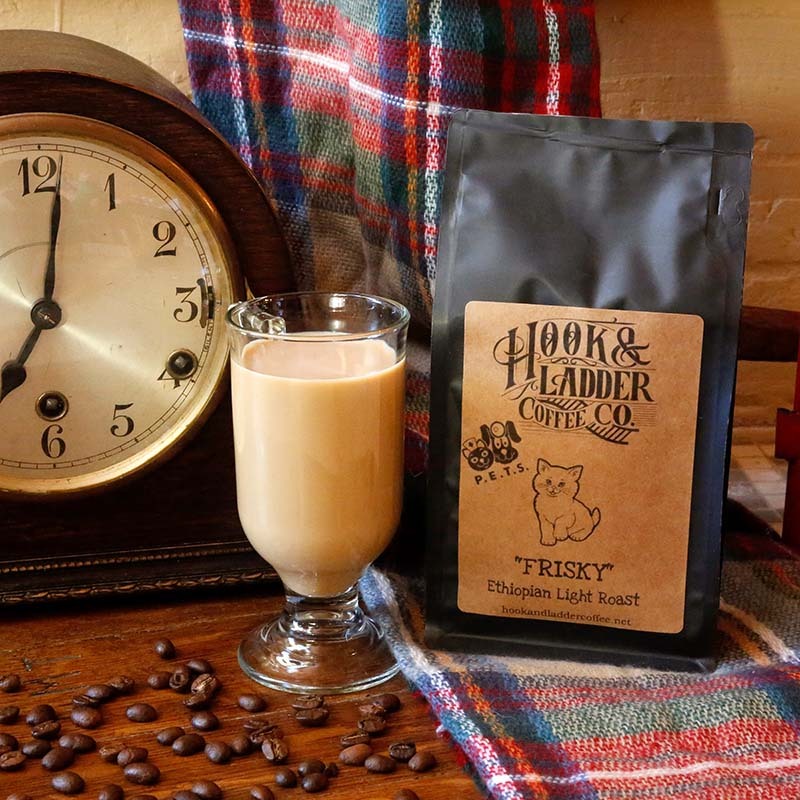 While “Frisky” easily describes the flavor of this rich-tasting single origin light roast coffee. 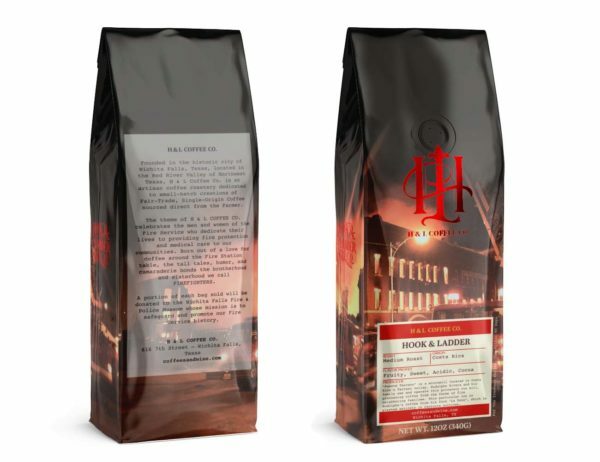 It also plays into the legend of the birth of coffee. It’s an interesting story that all starts with some goats and the berries that had them feeling frisky! Ethiopia is the birthplace of Arabica coffee. Coffee legend states that it is the birthplace of all coffee. The legend goes that a goatherder named Kaldi’s goats became highly spirited and “frisky” after eating certain berries. These were supposedly berries from the coffee trees that grow naturally in Ethiopia. Kaldi shared his berries and the news about his “frisky” goats with the abbot at the local monastery. Soon, the abbot was cooking the berries for himself and the monks who all reported extra energy and alertness. But the story of the berries didn’t stop there. The abbot and monks shared the news about the berries. Finally, the story spread to the Arabian Peninsula. There it was not only cultivated for the first time but began to be traded around the civilized world. In Muslim culture, the drink was an excellent replacement for alcohol which is strictly forbidden. By the 17th century, this “Frisky” beverage had found it’s way to Europe. 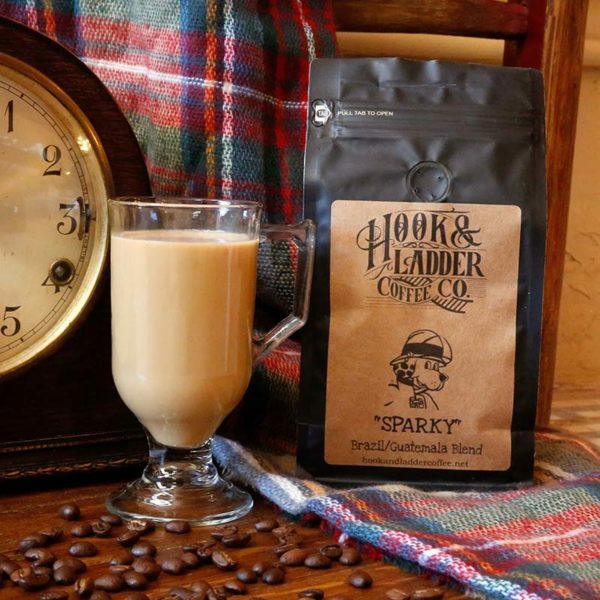 Over 300 coffeehouses opened in London. Next, it founds its way to the New World. Either due to politics or moneymaking, by the time coffee made it to the “new” continent, it replaced tea as the favorite beverage.